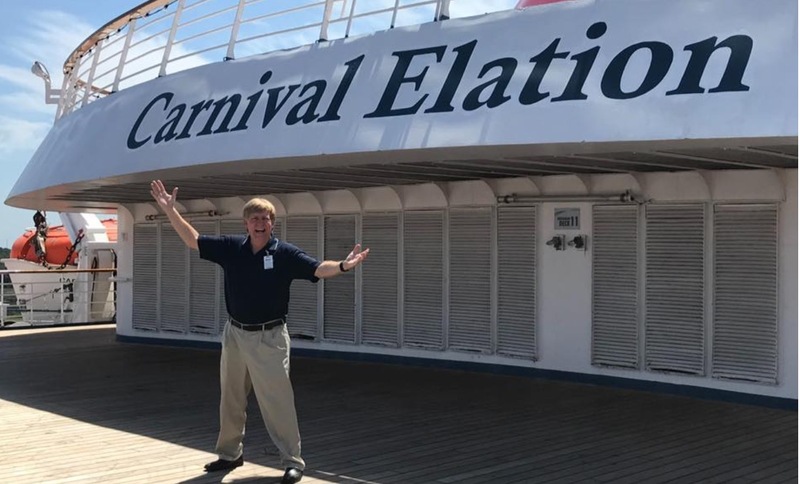 I just returned from a tour of the Jacksonville-based Carnival Elation and was happy to see they have significantly improved the cruise check-in process. 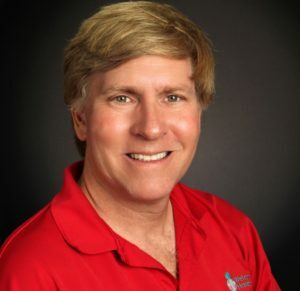 As reported by Seatrade Cruise News regarding the Carnival Horizon, (see link at the end of this post), Carnival cruiseline recently installed the Mbark system at JaxPort. This new check-in system drastically speeds up the time from pier to stateroom! When you arrive at the cruise terminal, you present your passport and boarding pass to the agent near the door. Just as long as everything has been done correctly during your online check-in, you can basically walk on the ship! You will check in to the ship just before you pose for photographs using your boarding pass. An agent will have a handheld device to scan the bar code on your boarding pass, then boom, you start heading to your long awaited cruise vacation!!! If you have a birth certificate or are paying cash instead of using a credit card for on board purchases, you will have to go to the traditional counter agent for manual processing. Your Sail and Sign cards will be just outside your stateroom door! Keep in mind that wedding parties, then suite guests, Diamond and Platinum VIFP and finally Faster to the Fun guests, (in that order), will be boarding prior to other cruise passengers. Please remember that you will still have to go through security, (just like at an airport), so please limit your carry-on luggage so that you don’t hold up 1000 people behind you in line! You are allowed to bring one 12 pack cans of soda per person, (not 2 liter bottles! ), and remember that you can’t bring bottled water on board. My last thought is that it’s imperative that you accurately complete your on line check-in prior to your cruise and if at all possible, use a debit or credit card for on board purchases instead of using cash! 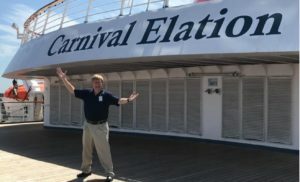 This new and improved check-in system worked seamlessly when I boarded the Carnival Elation and I look forward to this great experience time and time again!